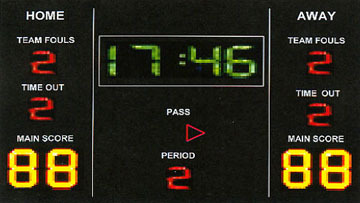 Shows the time count-down in minutes/seconds with Alarm Output for optional Siren. 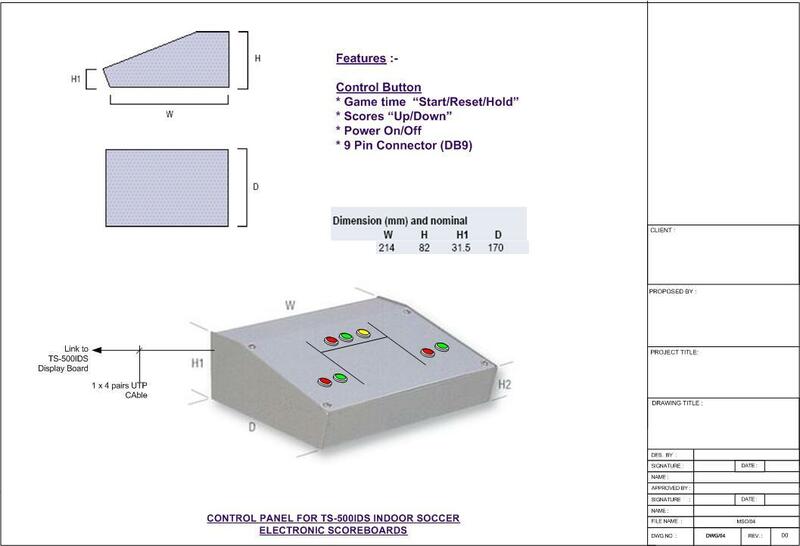 7 segments for each character 250mm (10") x 130mm (5"). 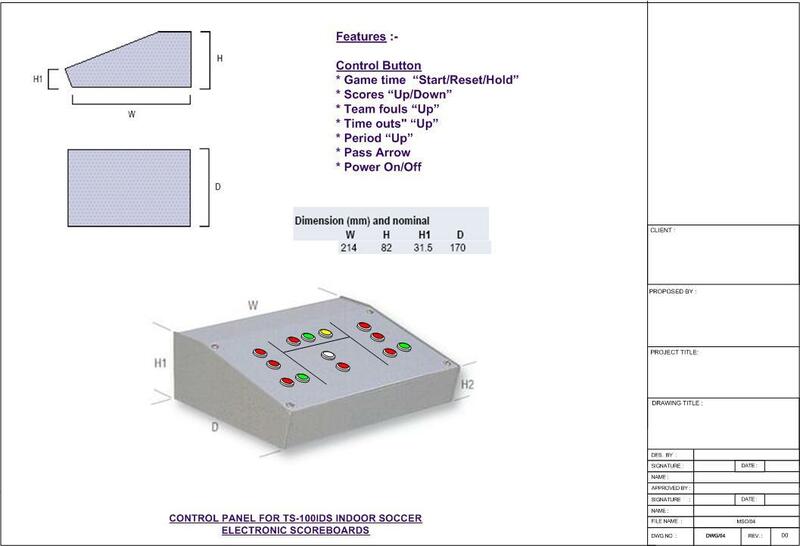 Click here to view the image and specifications of the control panel. Team fouls up to 9 for both teams. Time-outs up to 9 for both teams. 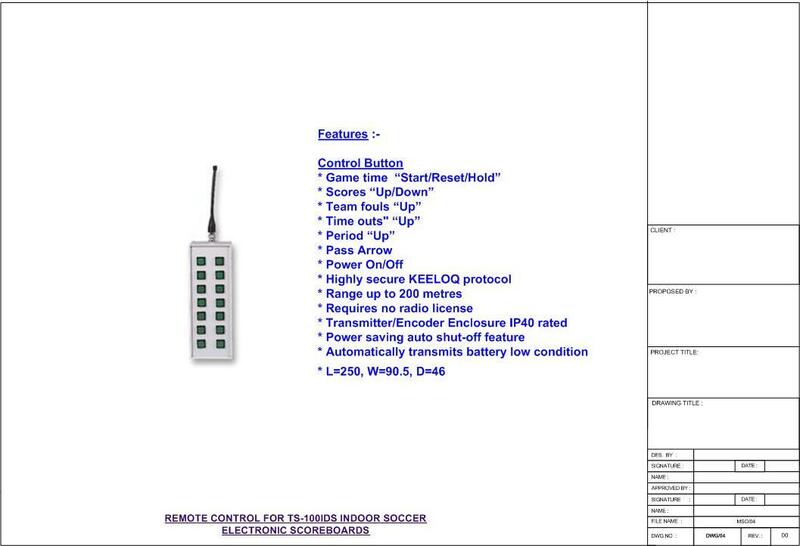 Click here to view the image and specifications of the optional remote control.